Quebec passed Bill 176 in June — an Act to amend the Act respecting labour standards and other legislative provisions mainly to facilitate family-work balance — with several changes around workplace harassment, scheduling of work, leaves of absence and pay equality. Amendments to some of the changes came into force Jan. 1, and while they add up to a major overhaul, it’s not a complete revision of the rules, according to Natalie Bussière, a partner at Blakes in Montreal. But employers beware: “They are definitely employee-friendly,” she said. One of the major changes concerns psychological harassment. Employers are now required to have a psychological harassment prevention and complaint processing policy. Before, it was best practice, said Bussière. “It was systemically recommended every time there was a complaint for psychological harassment; it was one of the first questions asked by the agents of CNSSEE (Commission des normes, de l'équité, de la santé et de la sécurité du travail) when performing an investigation,” she said. Employers that don’t comply could face challenges in court, according to Maude Galarneau, lawyer at Borden Lander Gervais in Montreal. Quebec has also amended the limitation periods for filing harassment complaints at work, so an employee can now file a harassment complaint within two years of the last incident, as opposed to 90 days. That is a very challenging development, said Galarneau. That will be a concern for employers when it comes to evidence-gathering, said Bussière. That puts much more pressure on employers to document situations, especially with people changing jobs more often, said Marianne Plamondon, a partner at Langlois Lawyers in Montreal. 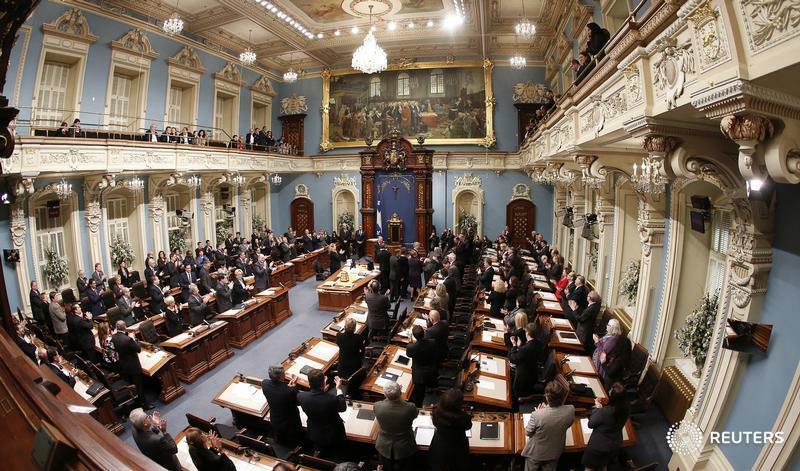 There are also several changes around scheduling work and overtime in Quebec. For one, employees will have the right to refuse to work more than two hours beyond their regular hours, rather than four hours. And workers can now refuse to work if they have not been informed at least five days before they are required to work — unless their duties require them to remain available. “That’s a major change for employers… especially for sectors where it’s hard to predict how many hours they have to do from one week to another. But, at the same time, this employer is facing this scheduling five days in advance, so that’s going to be a struggle,” said Plamondon. The implementation of this rule could be tricky, said Bussière. To receive three weeks of annual vacation — instead of the previous two — employees in Quebec are no longer required to have five years of uninterrupted service, but three years instead. That will make for a significant change for certain industries, such as retail, where employers usually offer the statutory minimum, as this adds up to an additional benefit, said Bussière. But that boost to three weeks has a cost, said Galarneau. Quebec has also stated employers can no longer pay employees a lower wage rate than that granted to employees who perform the same tasks, meaning those with a different employment status. This new rule follows a previous move in Quebec to expand the restriction of "orphan clauses" which allowed employers to provide less favourable benefits to employees based on their hiring date, such as defined contribution pension plans instead of defined benefit plans. Often employers looking to reduce costs would say they couldn’t maintain a particular program because it was too expensive, such as group insurance, said Plamondon.